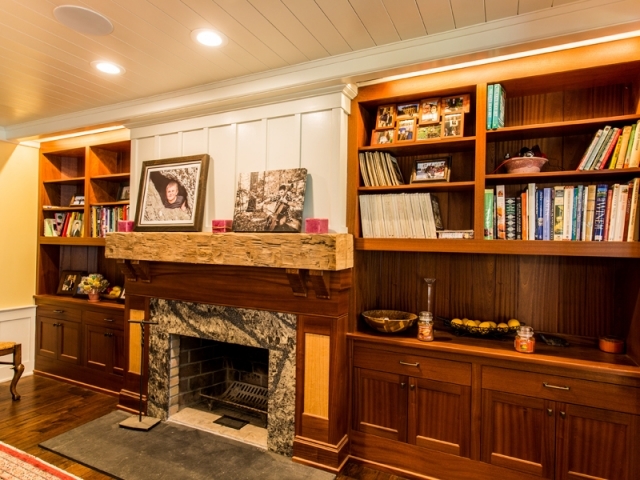 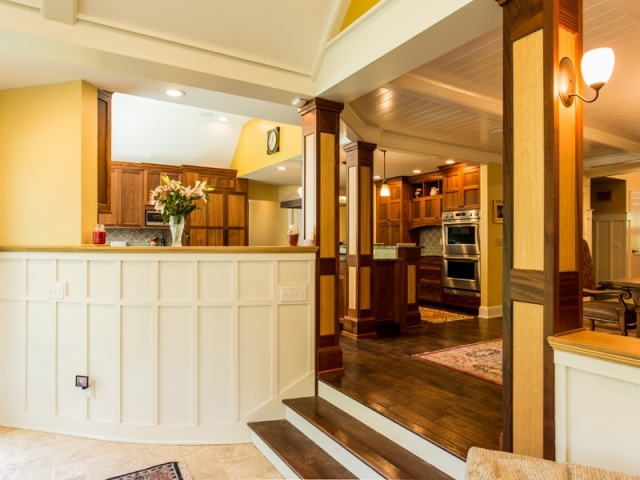 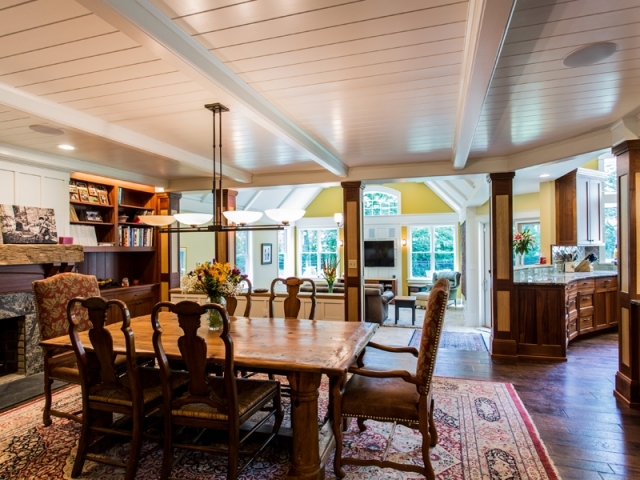 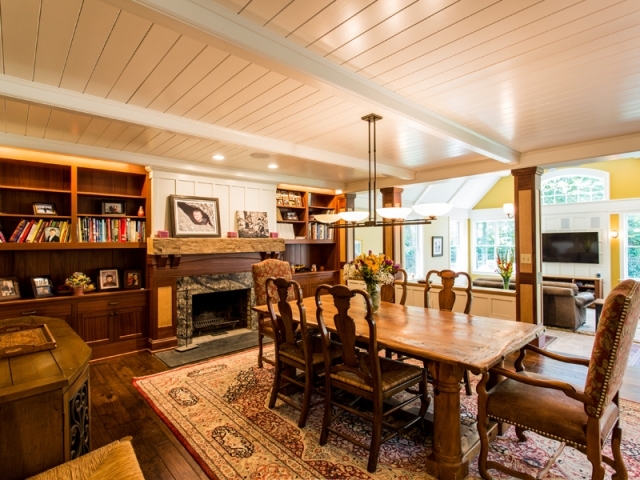 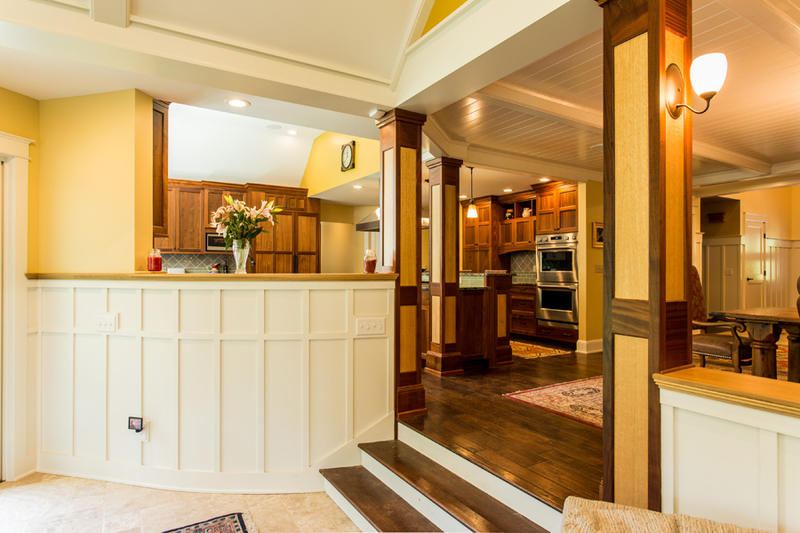 Cherry Valley | RW Buff Inc.
A ‘diamond in the rough’ was what the owner saw in this neglected arts and crafts style home, and a whole house renovation and addition was what was needed to bring out the full luster of this gem. 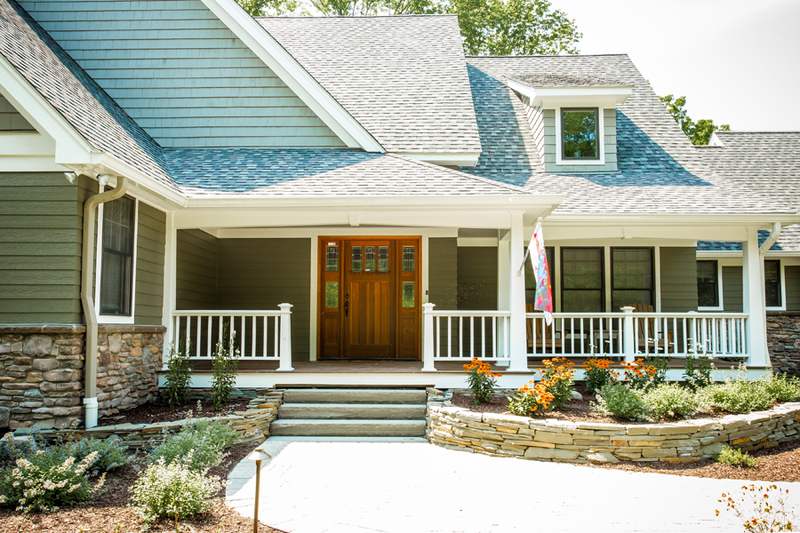 This home had been neglected by its occupants for many years and was in need of a major renovations. 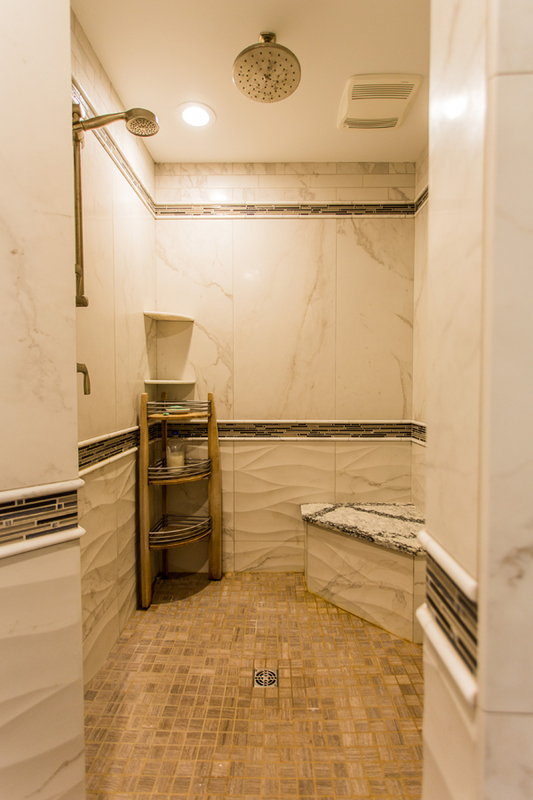 The owner and his designer decided it was worth the effort and came up with a plan for us to add onto and completely overhaul this 16 year old ‘diamond in the rough’. 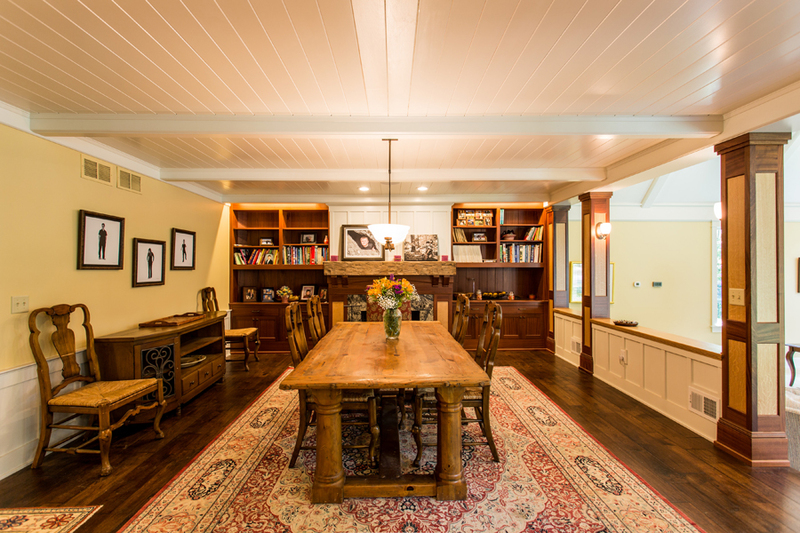 The result is this magnificent 4,700 sqft. 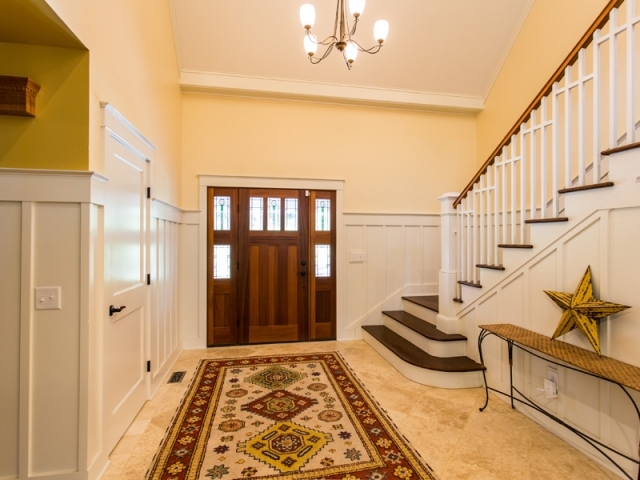 Arts and Crafts style gem. 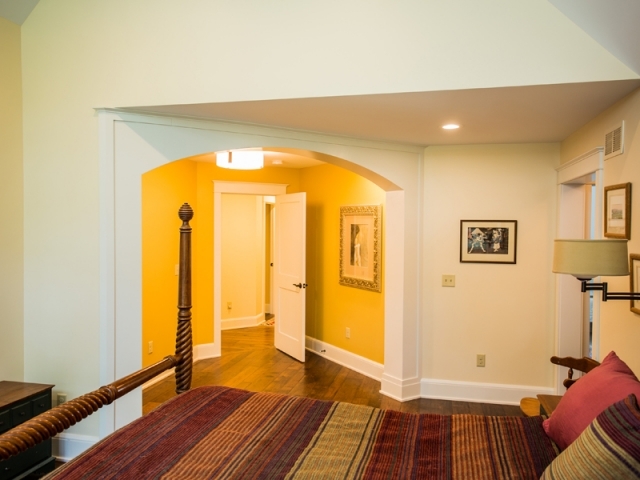 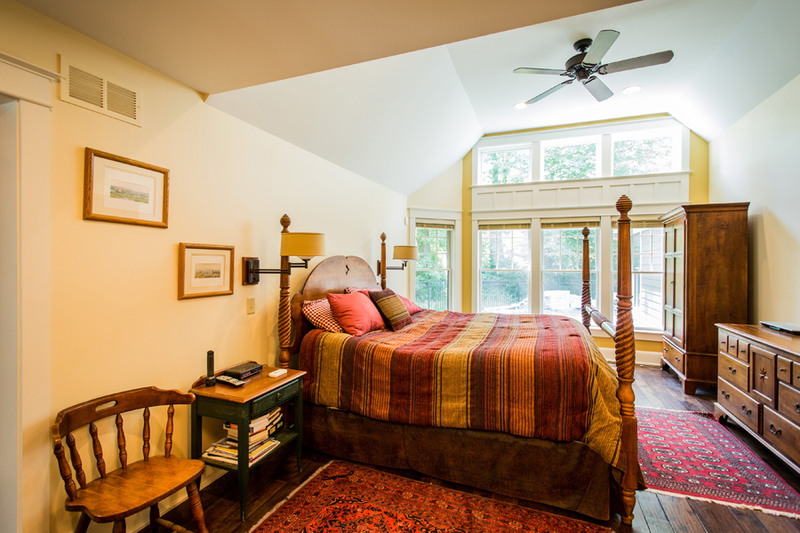 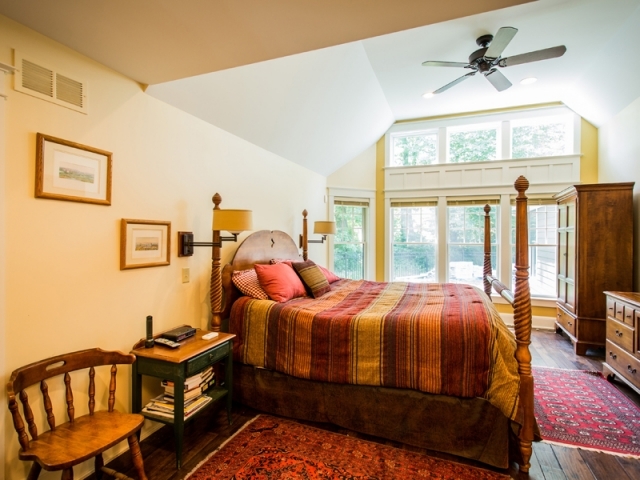 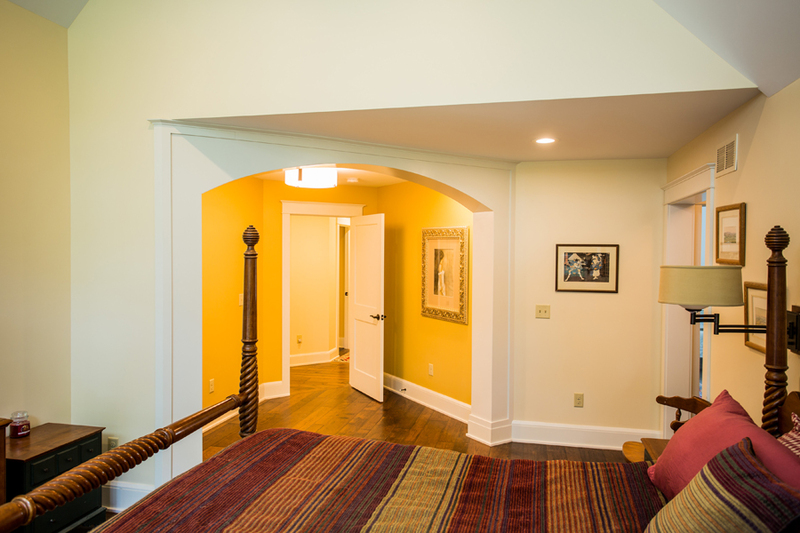 The designer’s vision began to take shape with a gut out of many of the 1st floor rooms, a great room addition and the finishing of two large attic spaces that required significant structural repairs. 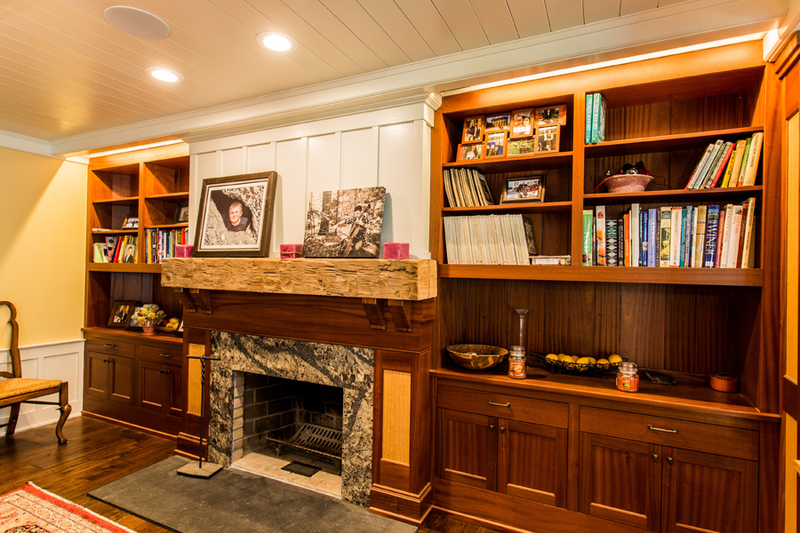 The home had good arts and crafts style and details that the designer was able to use as a starting point for the overall feel of the home. 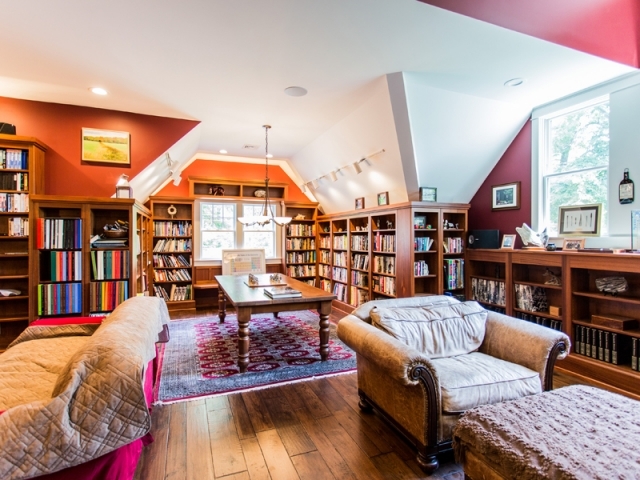 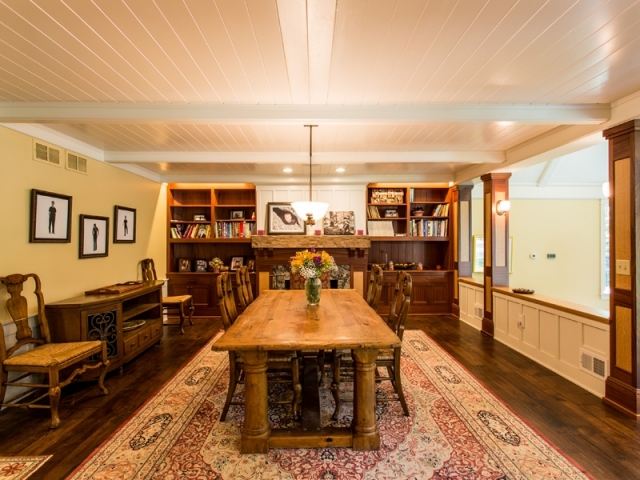 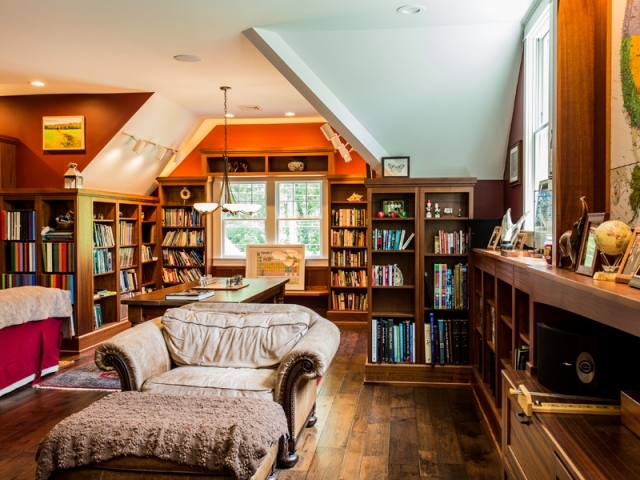 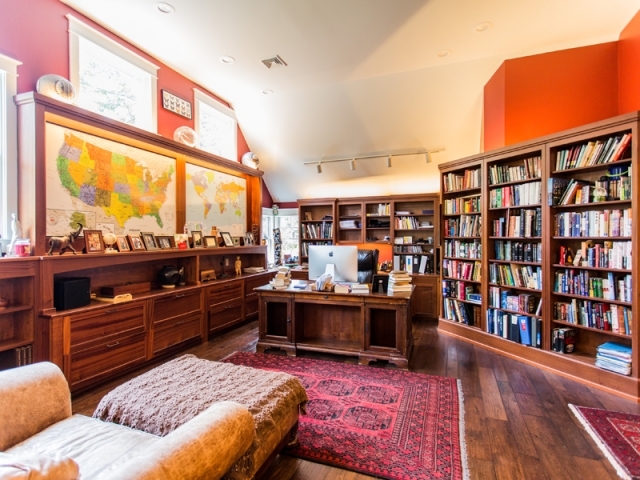 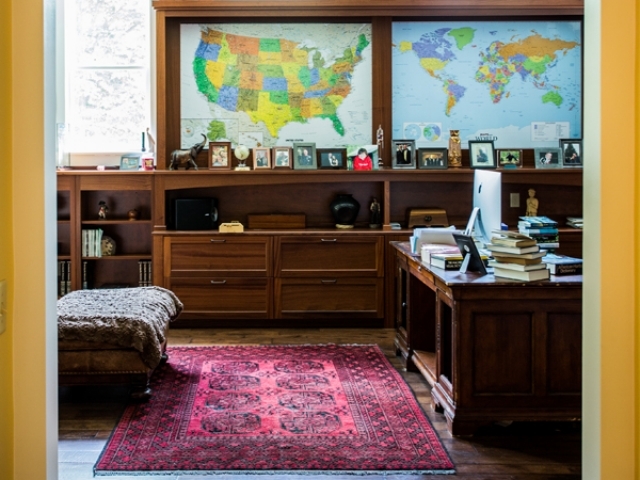 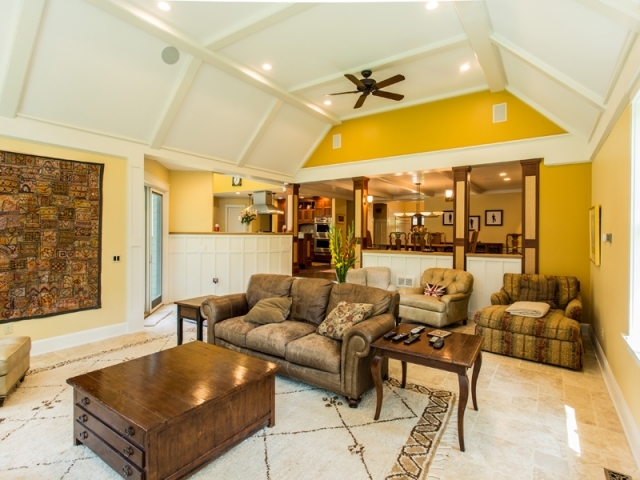 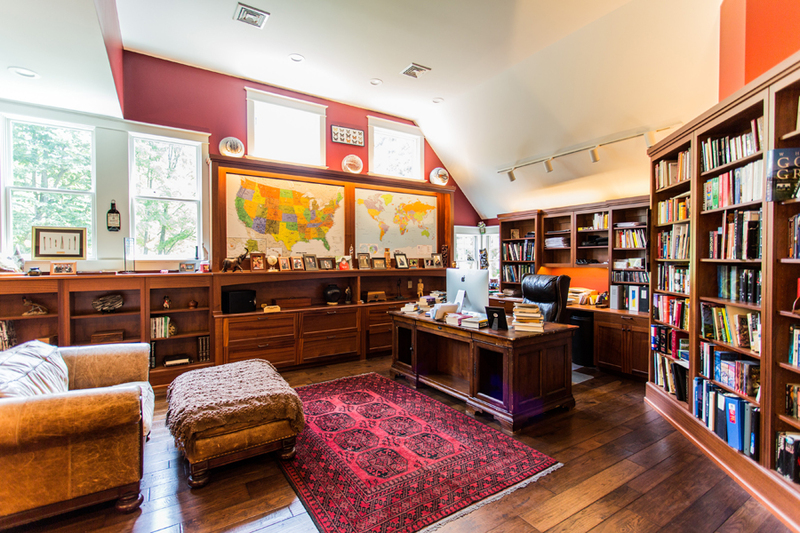 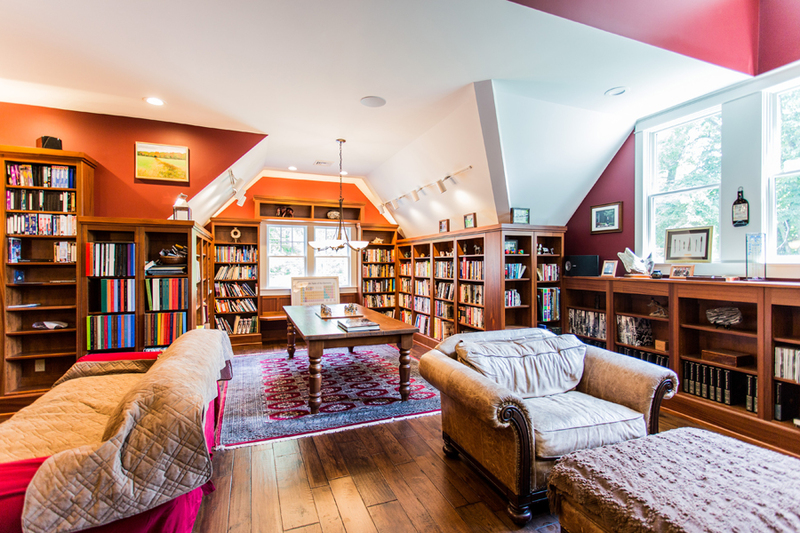 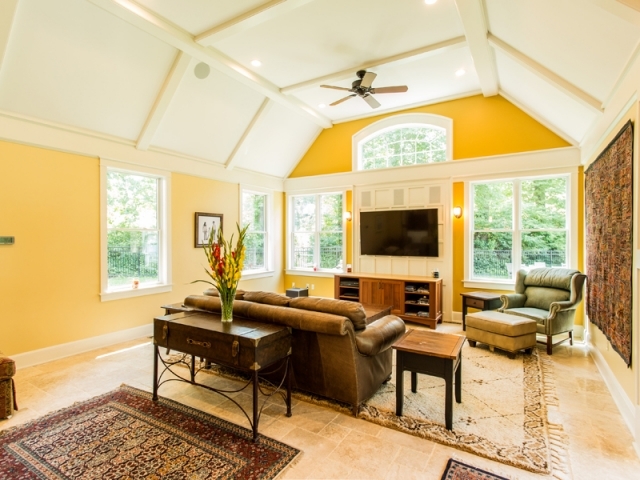 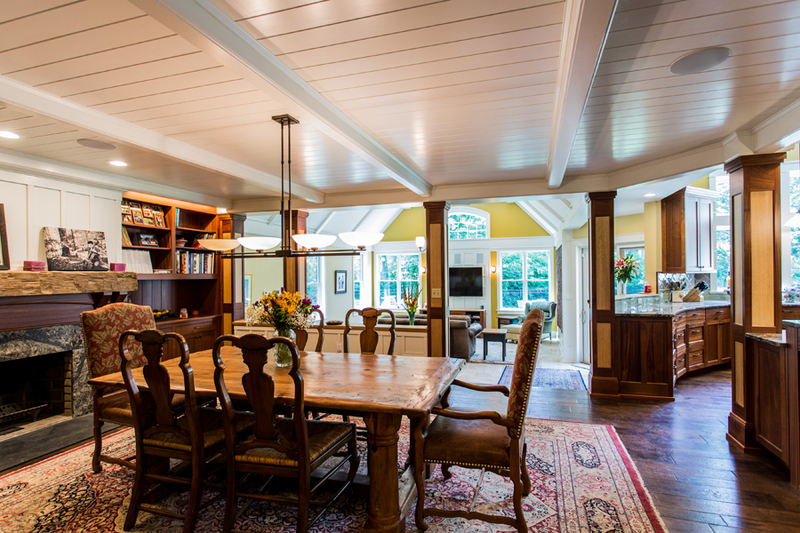 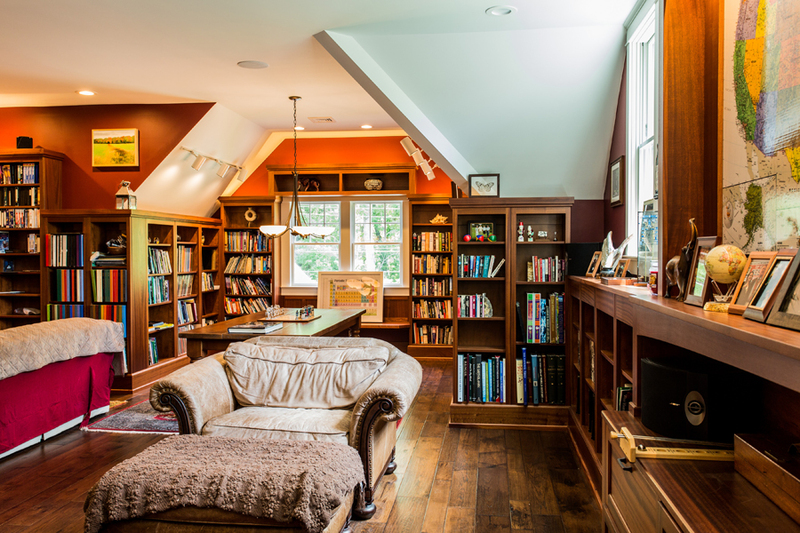 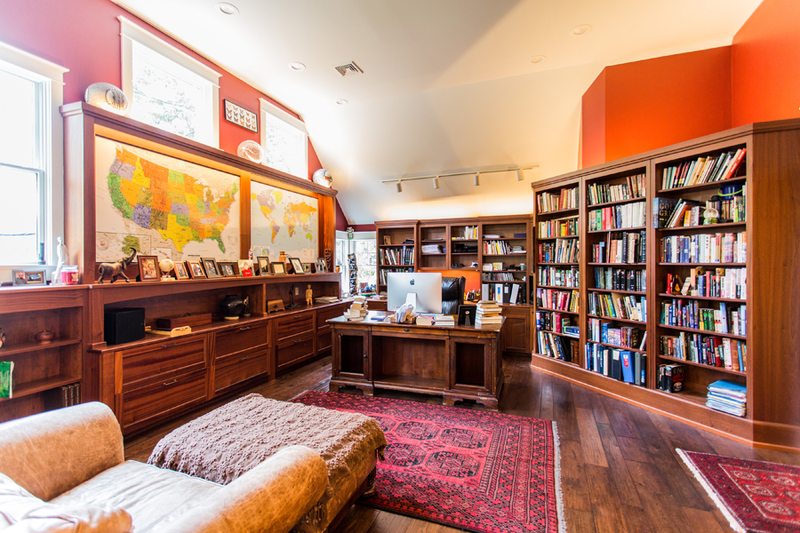 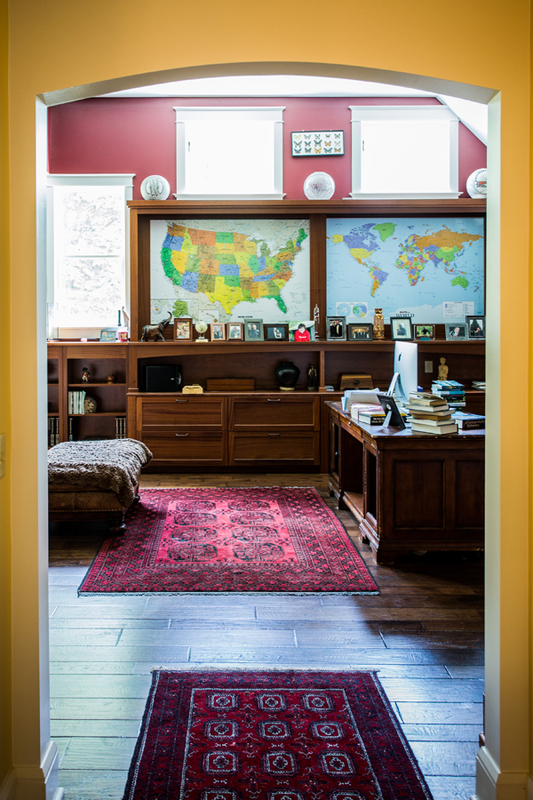 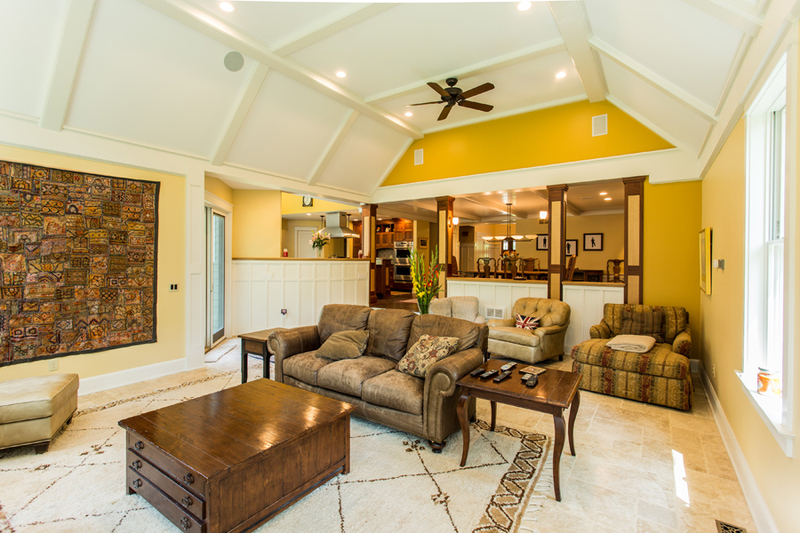 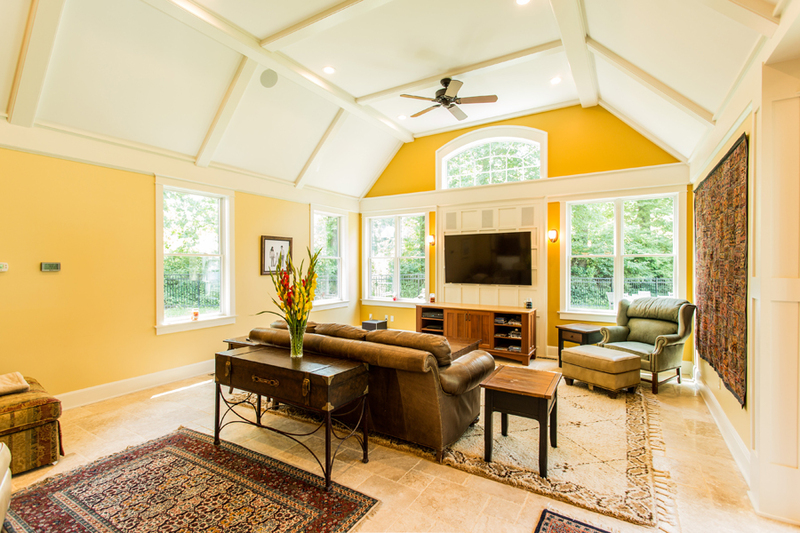 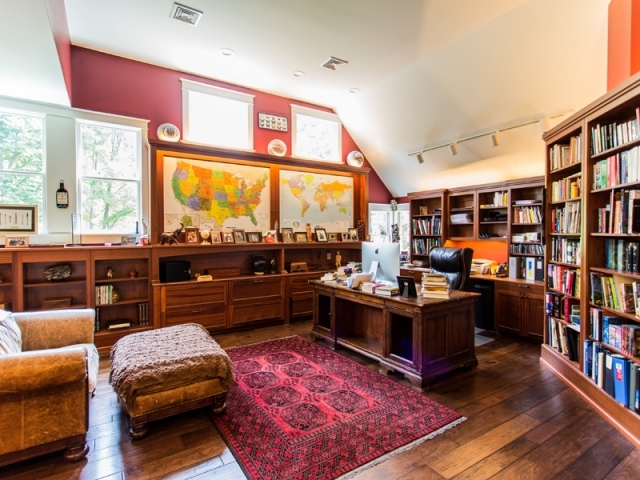 The new spaces in the home include an expansive great room with vaulted coffered ceiling, a second floor bathroom and gym area, a large children’s play room over the garage and a spectacular library and office in the old attic space with mahogany paneled book shelves and map wall. 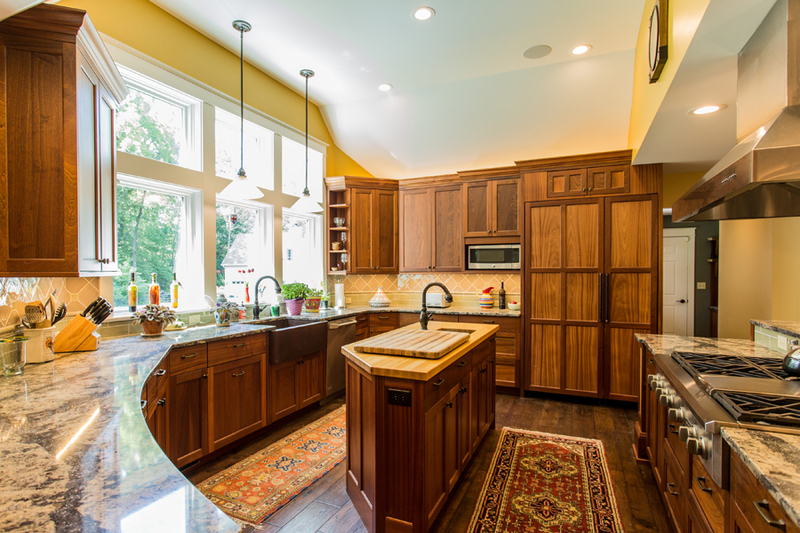 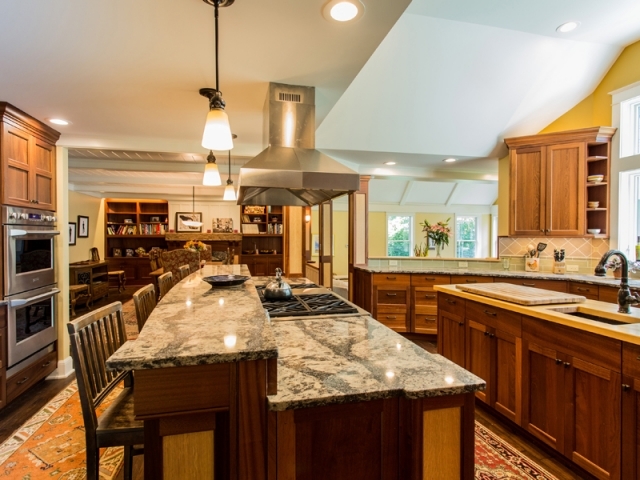 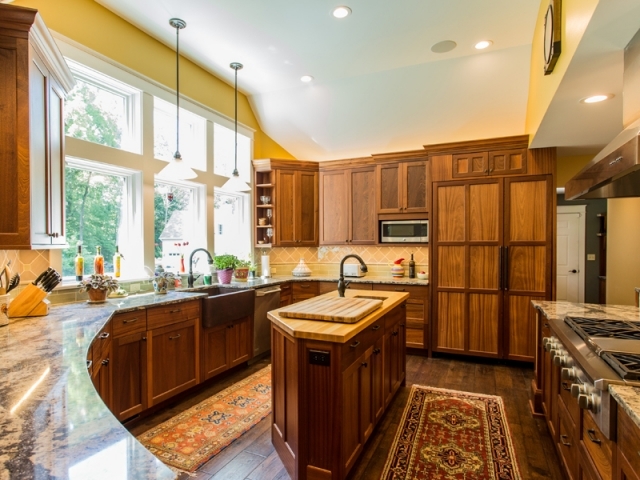 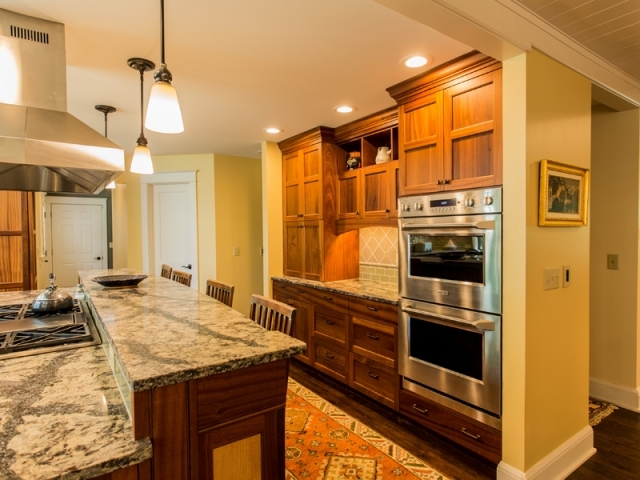 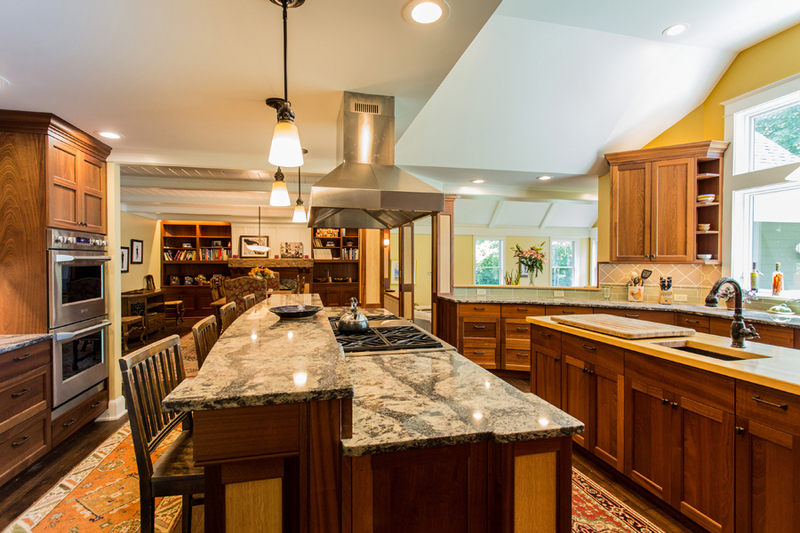 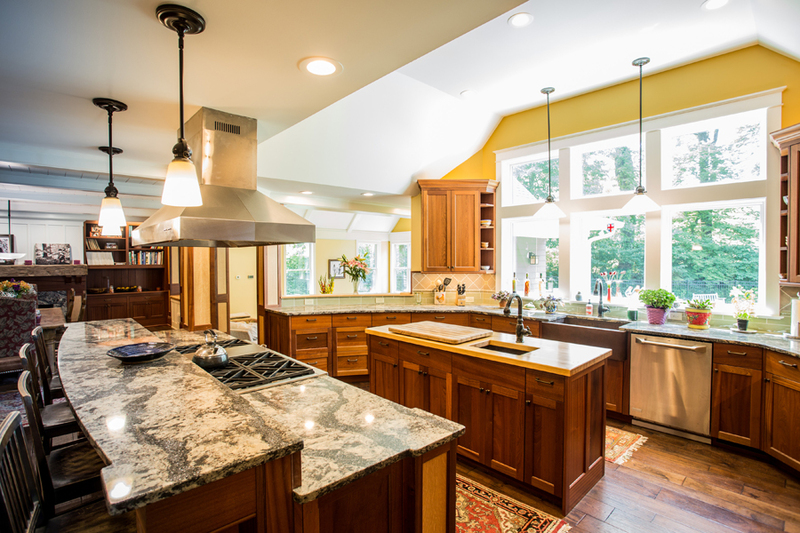 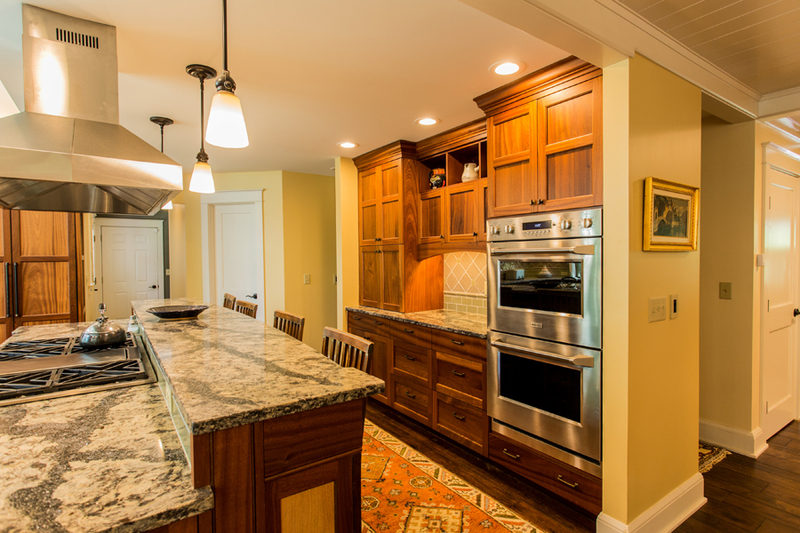 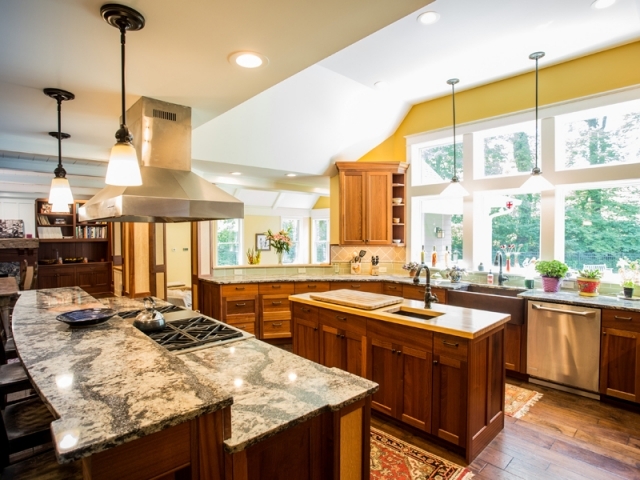 The first floor renovations include a large gourmet kitchen with two islands, sapele mahogany cabinets, quartz and butcher block counter tops and hand hammered copper sinks. 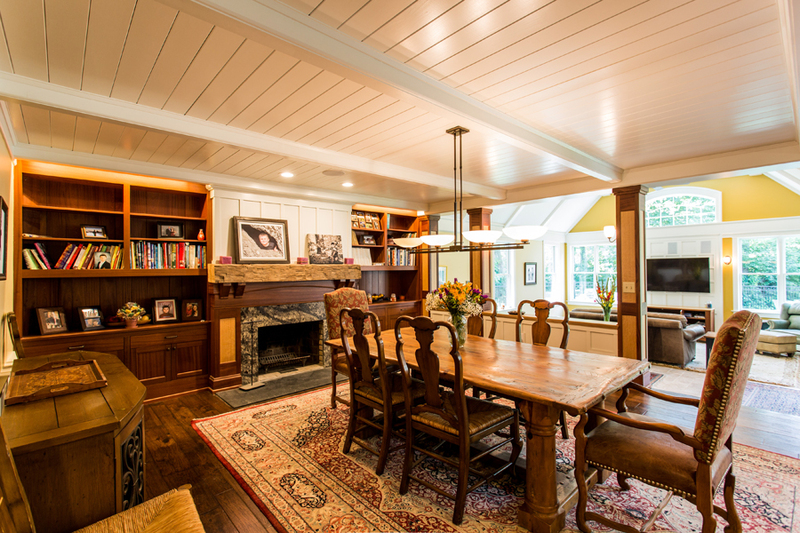 The dining room boasts the renovated fireplace wall with built in cabinetry and combines hand crafted mahogany and white oak columns with simple paneled wainscot for a striking contrast of styles. 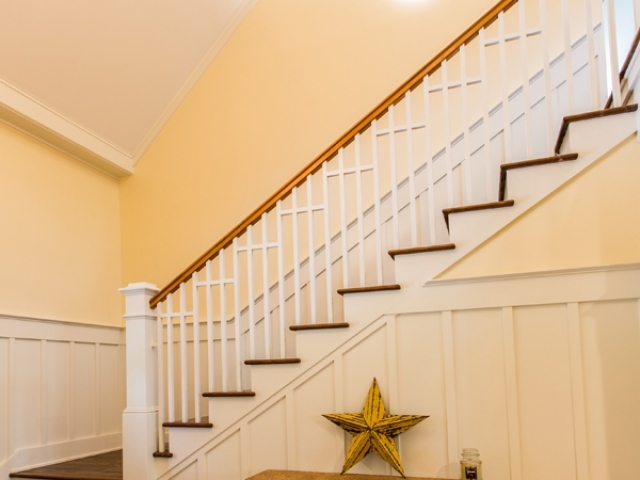 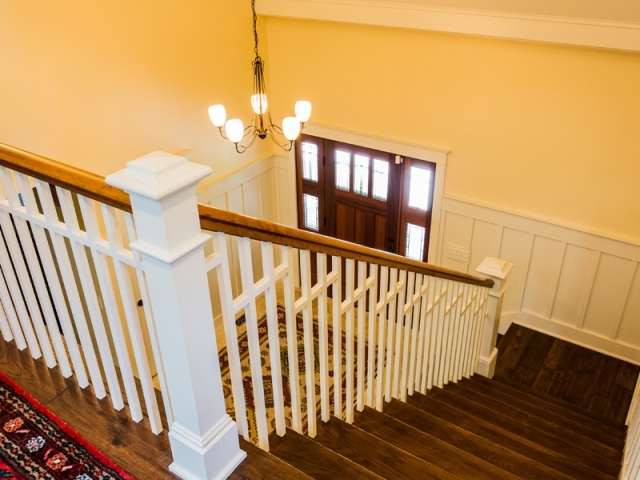 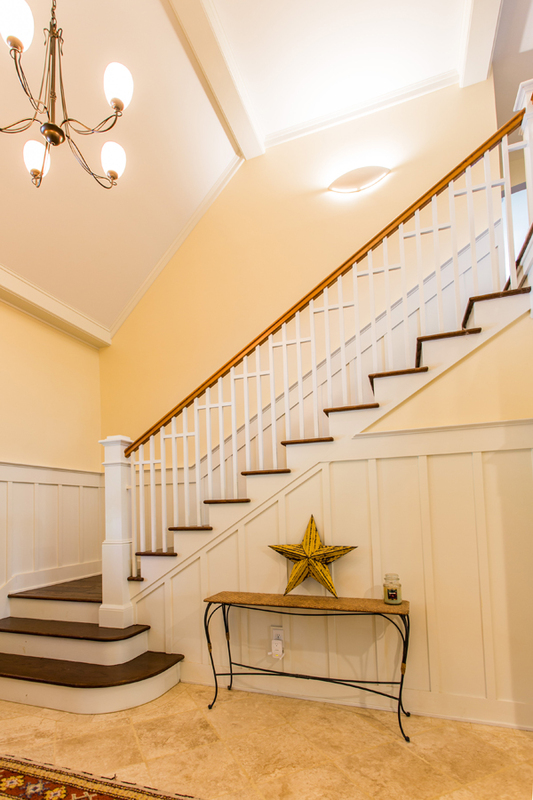 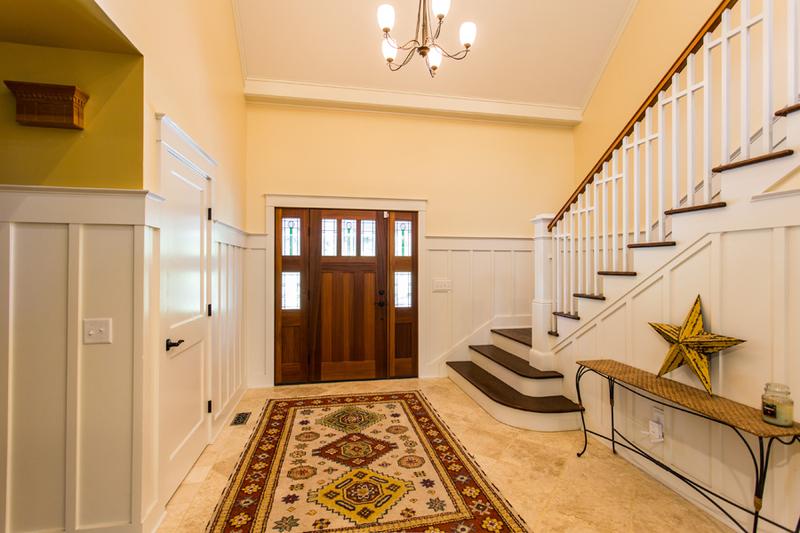 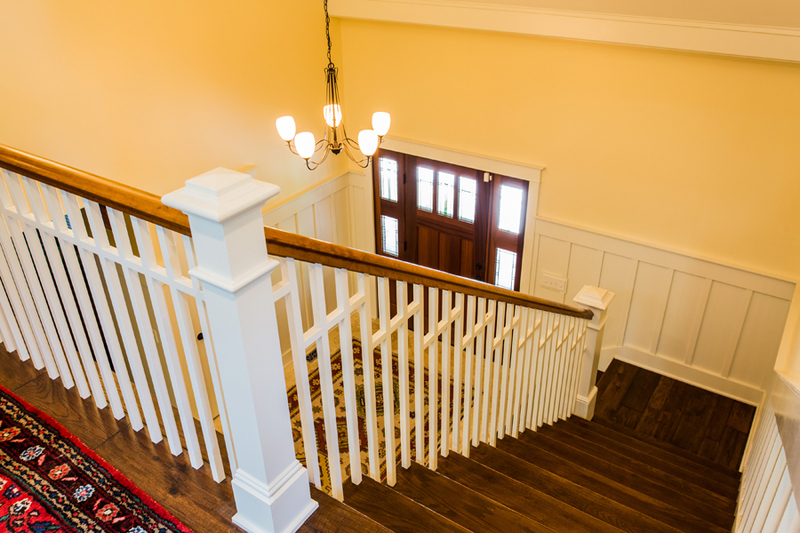 The foyer has a completely new stair case with custom cherry railings, a new mahogany front door and the addition of 5’6” high wainscoted walls. 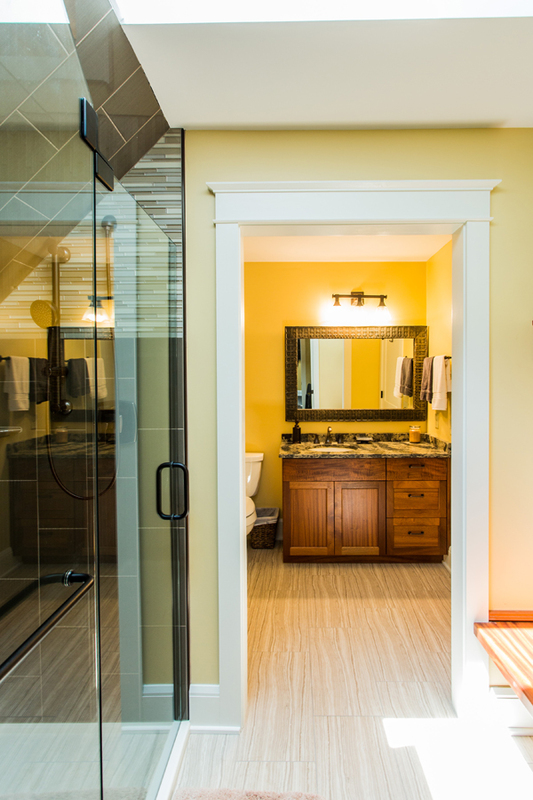 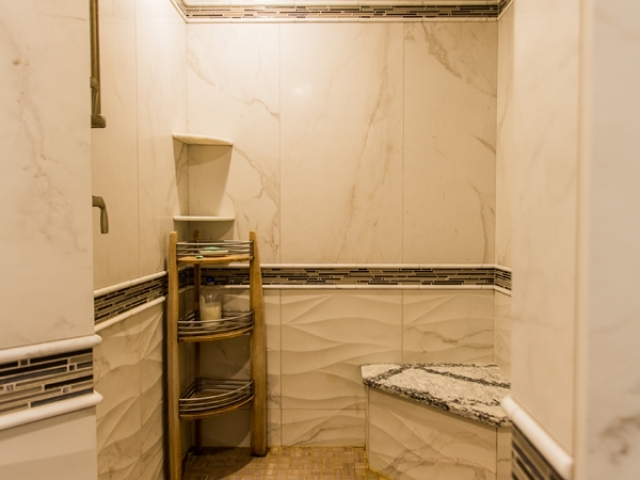 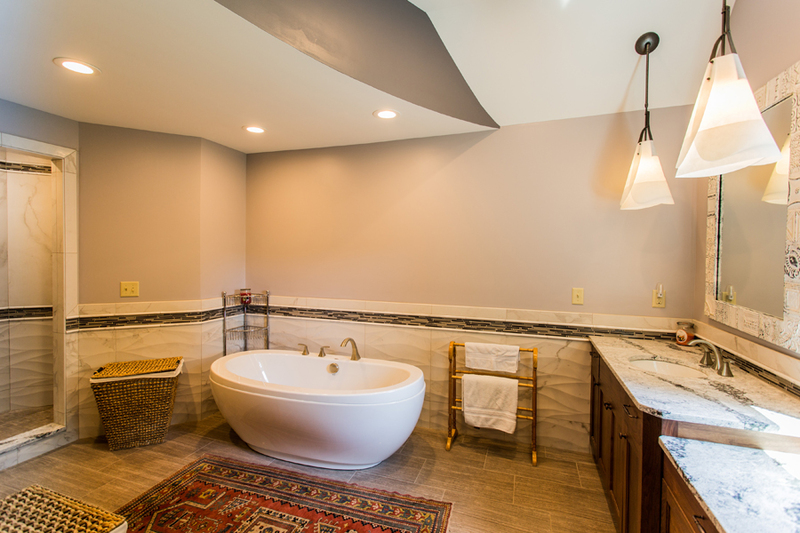 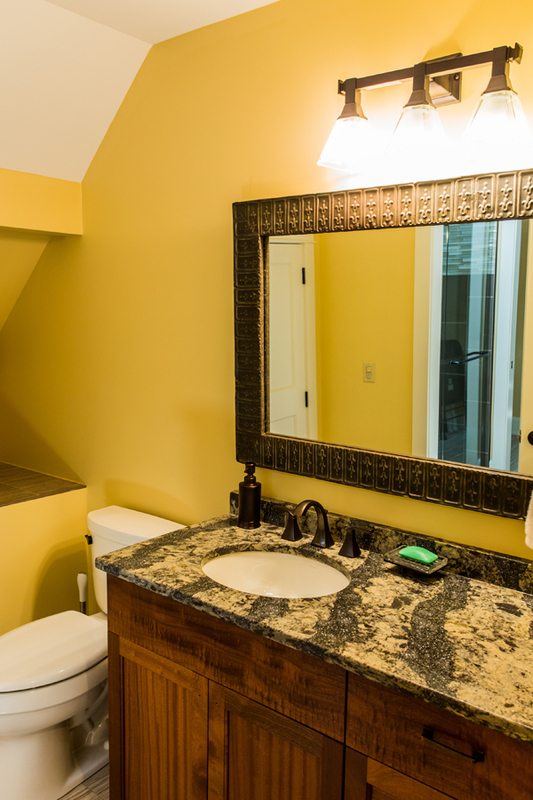 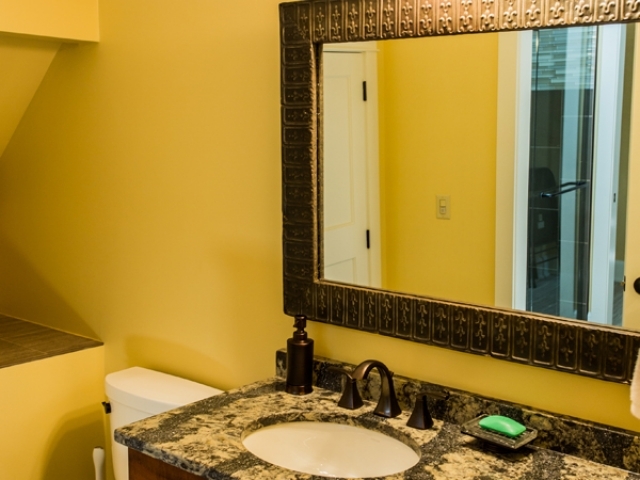 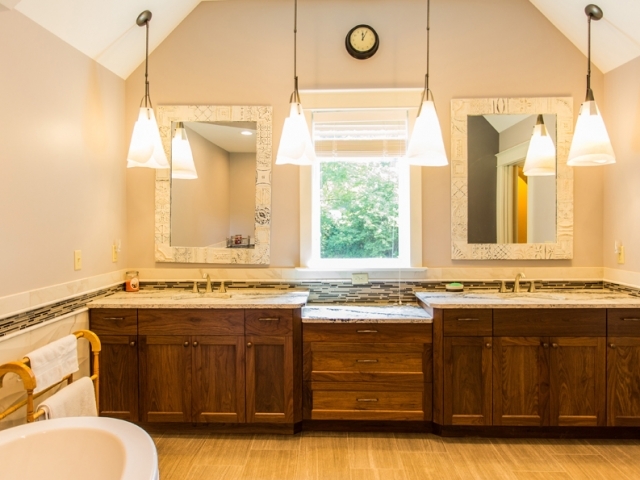 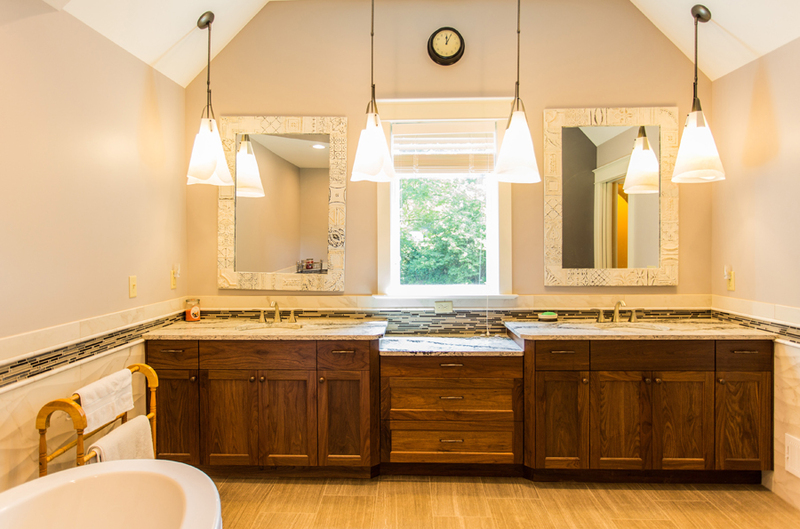 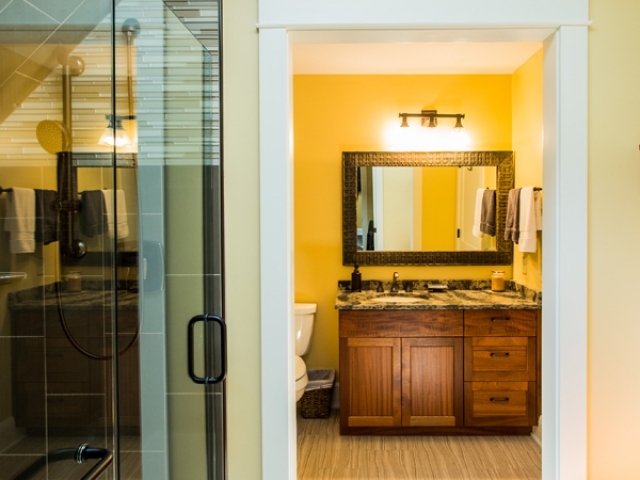 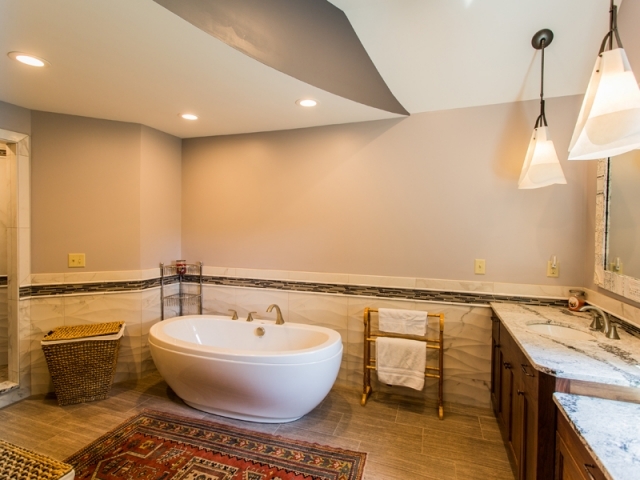 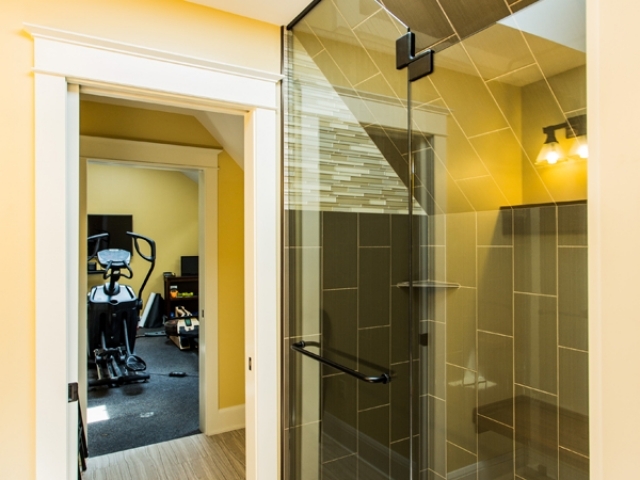 The bathroom is a contemporary design with large rectangular marble tile walls and shower, a free standing soaking tub and black walnut cabinets. 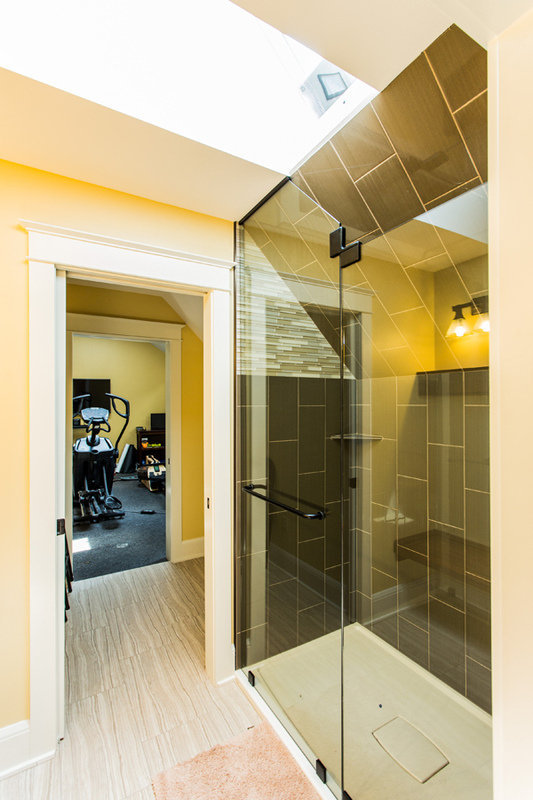 The project also included all new mechanical systems including HVAC, plumbing and electrical. 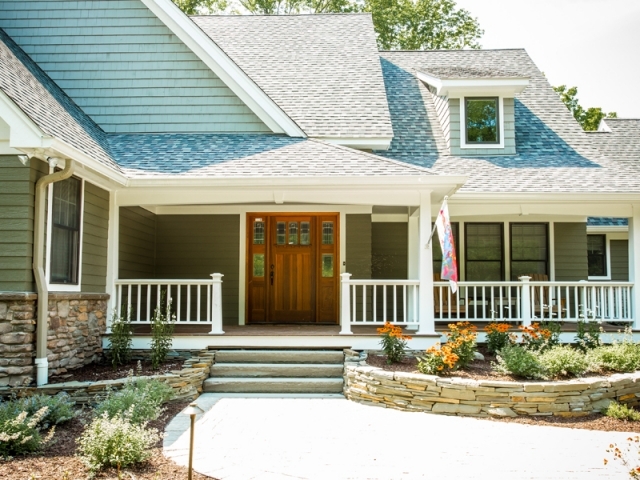 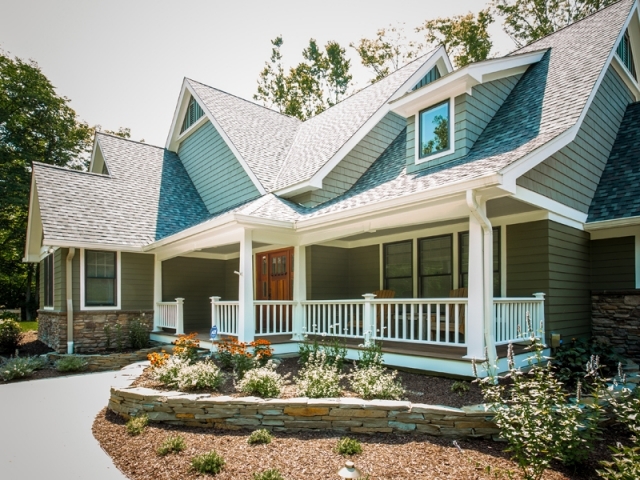 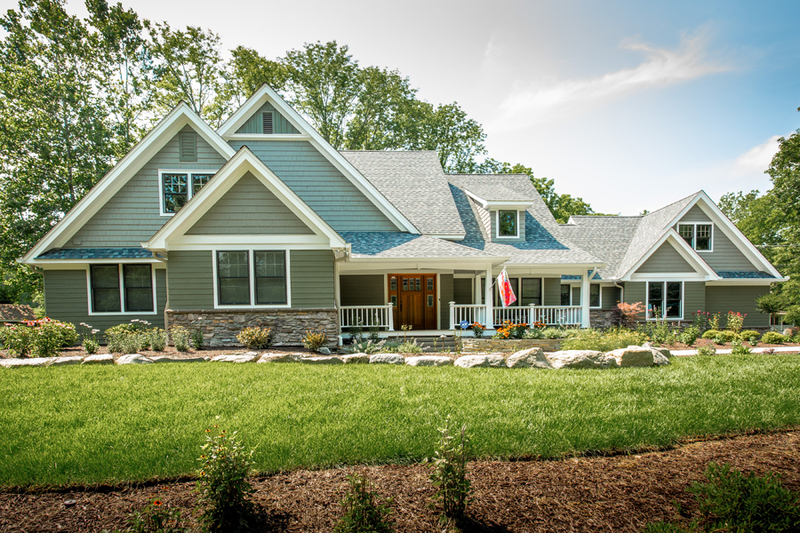 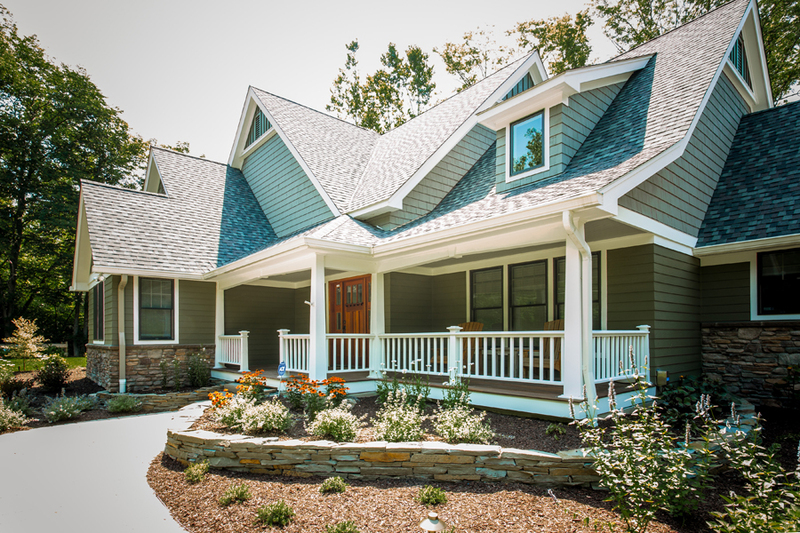 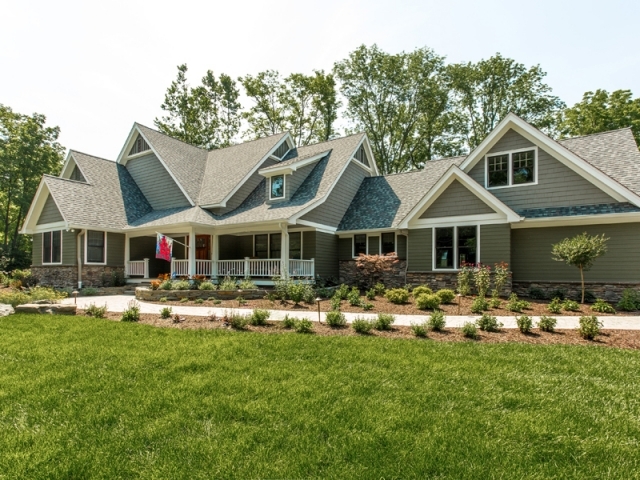 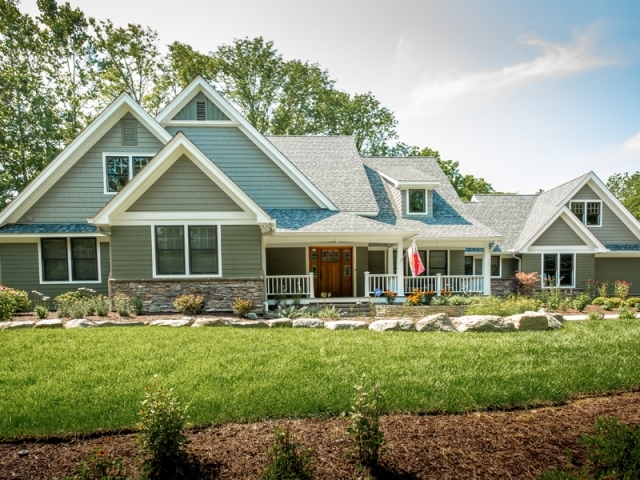 The exterior of the home was also renovated with a new roof, cedar trim, repaired Hardie plank siding, new stone work and a complete paint job.